For more than 55 years, our success and philosophy has been rooted firmly in education. Sharing our unique experience, to create innovative, globally renowned hairdressing education. The multi award-winning TONI&GUY Artistic Team is made up of some of the best hairdressers in the business. They are also considered to be one of the driving forces behind the global success of TONI&GUY, essensuals and label.m. As a group of people who are extremely diverse, the company is proud to employ artists of every conceivable talent: from pioneering new cutting and colouring techniques to creating editorial and Avant Garde styles. They share their vision and knowledge with 100,000 hairdressers globally at shows and seminars each year. In addition, they split time between teaching at TONI&GUY academies around the world, creating the hair for editorial photoshoots and providing expert advice and guidance to the trade and consumer press. On top of all of that, each year they bring TONI&GUY’s innovative hairdressing techniques to key fashion events including London Fashion Week, London Fashion Week Men’s and London Fashion Week Festival. "What’s unique about TONI&GUY education is that our Artistic Team whose sole focus and passion is hairdressing education teaches all courses. All of our educators go through years of training and rigorous training to ensure that a highly skilled professional is teaching you. We are a salon-based company, so despite our obvious links with fashion we know how to make it relevant to you and your salon. We are constantly updating and redefining our course offering and teach hairdressers of every level, from the absolute beginner to advanced hairdressing skills like Avant Garde and Session hair. Our central London flagship Academy is a hub of creativity and we invite you to join us to share in our passion and experience." 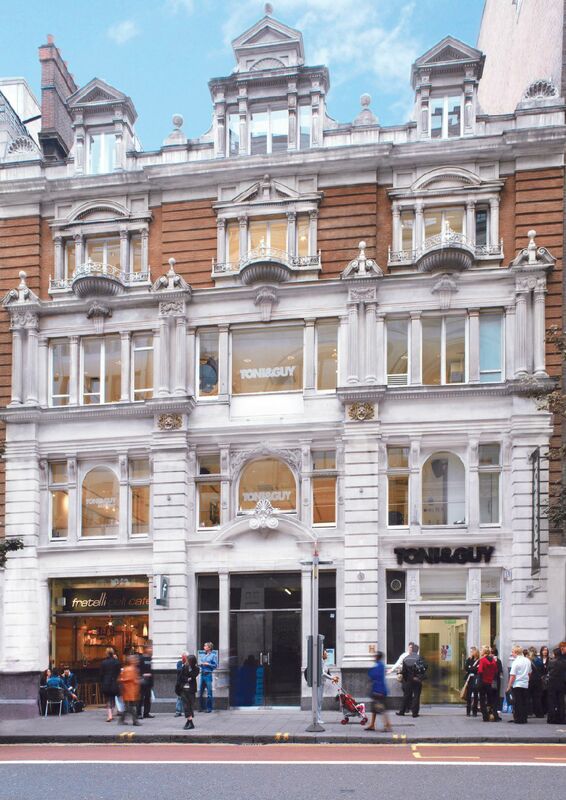 If you want to push your creative boundaries let TONI&GUY be your guide. From the fundamentals through to creative expression we offer education at every level. Your journey starts here. To offer you the best start, our Artistic Team will teach, support and guide you through the first steps of your hairdressing career. Designed for those wishing to learn fundamental skills that will provide a robust practical experience and the confidence to work with salon clients. Our Salon Foundation Cutting course has been created to upgrade, strengthen and improve your core cutting techniques. Created to deliver key techniques that will equip you to be confident in growing and developing a colour clientele. Designed to expose you to new ideas and approaches in the latest in hair fashion trends, you will be taught by our International Artistic Team. Who better to teach you the art of editorial hair than the official sponsor of London Fashion Week? Our Balayage & Blend course will give you the knowledge and expertise to create beautiful multi-tonal colour finishes. Learn the art of highlighting which is still one of the most popular colouring techniques carried out in the salon. Be guided through all the barbering basics that will lead you to an NVQ Level 2 qualification and a TONI&GUY diploma in wet shaving. A great introduction to hairdressers of all levels who are interested in building confidence and developing and perfecting their styling skills. Are you interested in trying different aspects of our globally acclaimed education? Then BESPOKE is for you! We are giving you the opportunity to create your own educational programme by choosing three different courses over three days. At TONI&GUY we believe that successful hairdressers need to push creative boundaries; constantly exploring new ideas and techniques. Online Education is available for 72 hours after purchase; there is no limit on how many times you can view your purchase. With 20 Academies offering TONI&GUY’s educational programme worldwide, continuing your educational journey with TONI&GUY couldn’t be easier. Whatever your style, whatever colour, the TONI&GUY Academy can create the perfect cut and colour for you – overseen by our expert International Artistic Team. The TONI&GUY Business Academy is a SFEDI (Small Firms Enterprise Development Initiative) center of excellence, delivering courses that offer you a formal, recognised qualification.